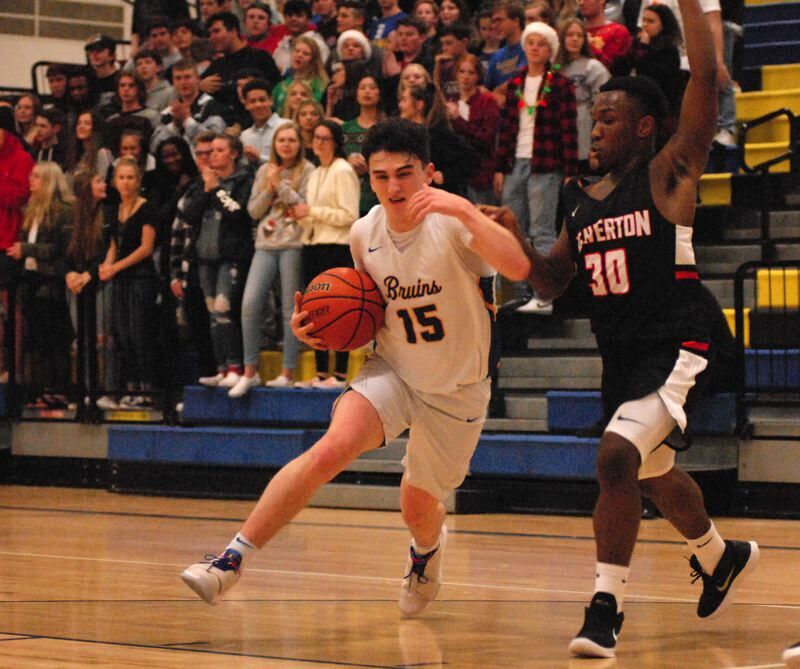 The Barlow boys basketball team relied on a series of second-chance buckets to pull away from Beaverton down the stretch for a 77-65 win to open the Bruins' Trail Classic tournament Friday night. A missed jumper midway through the fourth quarter prevented the Beavers from pulling even for the first time since tip off. Barlow dodged the bullet, then went to work on the offensive end, pulling down a pair of rebounds before Joey Wolcott dribbled past one defender and pulled up ahead of another to send a 10-footer off the glass for two points. The Bruins scored another second-chance bucket on their next possession when Evan Inglesby cut under the hoop and fought his way over a defender to convert his most difficult bucket of the night. 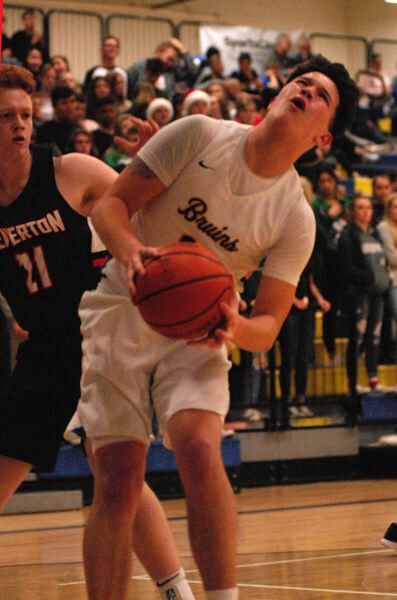 Still, Beaverton was staying close when Cody Davidson picked off a pass and went the distance for a layup to pull the Beavers within four points nearing the two-minute mark. Beaverton had a chance to get it back to a one-possession game only to see Inglesby and Jared Vedus step out to double team Beavers' guard Ams Juwara near the mid-court logo. Juwara tried to get off a pass, but Inglesby got a hand up to deflect the ball and start action the other way. "We rotate well on defense and that leads to steals — we don't want to make anything easy," Inglesby said. Teammate Jesse White saw his layup slide off the rim, but Inglesby followed the play and was fouled on his way back up. Another second chance, this time resulting in a three-point play that put Barlow up 72-65 with 1:32 left. "For us, you are either getting back on 'D' or you are crashing the boards — you can just stand around on the perimeter — you have to do something," Inglesby said. The Bruins sealed the victory when Jaren Hunter drew a charge in the lane that wiped Mason Stewart-Carothers' basket off the scoreboard. Barlow got a quick restart and a long-bomb inbounds pass found Wolcott alone behind the defense for an uncontested two. "I'm always looking for guys driving to the hoop, so I can step into the lane," Hunter said. "T.J. (coach Tom Johnson) is always telling us how taking a charge is a huge momentum play." Inglesby and White combined to hit eight 3-pointers with Inglesby finishing with a game-high 31 points. "Give credit to Beaverton for staying in it, but we came up with some big plays to keep the lead," Inglesby said. The Bruins (3-0) advance to play Tualatin (4-1) in the Trail Classic championship game at 2:30 p.m. Saturday. Barlow built a 26-17 lead early in the second period after Wolcott cleanly plucked a rebound from above a Beaverton player. He tossed the ball out to the perimeter and got it right back, turning to the basket and scoring with an underhand scoop. Beaverton closed to within two points when Juwara drove into open space in the lane, but rather than going for the hoop, he fired a pass cross-court to Mason Stewart for a 3-pointer. Barlow would score the next four buckets to turn away the challenge, regaining a double-digit margin when Dominic Jacoby sent a quick touch pass inside that found Inglesby cutting through the lane for a layup. The teams combined to score on their first six trips of the second half before Barlow finally forced a miss. Jared Vedus sank a trey at the other end that put the Bruins up 48-37. White came up with a productive sequence later in the third, starting when he found Inglesby with a half-court pass that led to a layup. Next, he dribbled along the sideline, passed the scorer's table and swished a deep 3 before his defender could challenge. White finished the scoring flurry with a baseline drive that ended with a 12-foot fadeaway over the top of Beaverton's 6-foot-3 Trent Walker. 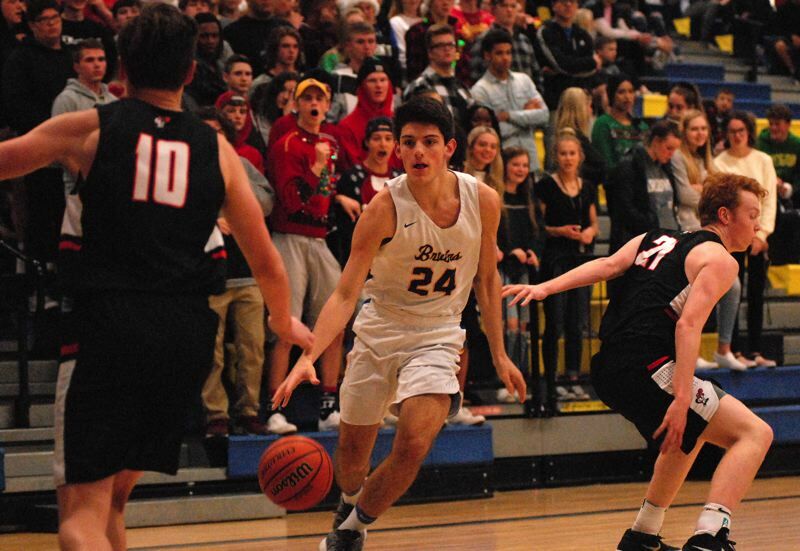 Beaverton put on a surge at the end of the third and had a shot to take its first lead but Walker's 3-point try clipped the front of the rim at the buzzer. Beaverton (65) — Mason Stewart 17, John Oleson 15, Cody Davidson 9, Bennett Giebels 7, Ams Juwara 7, Trent Walker 4, Tyler Baltus 3, Steven Sloop 3. Barlow (77) — Evan Inglesby 31, Jesse White 21, Joey Wolcott 10, Jared Vedus 5, Dominic Jacoby 4, Jaren Hunter 4, Josh Nomie 2, Lowery, Ndayizeye. This story is slated for our Tuesday, Dec. 18, print edition.